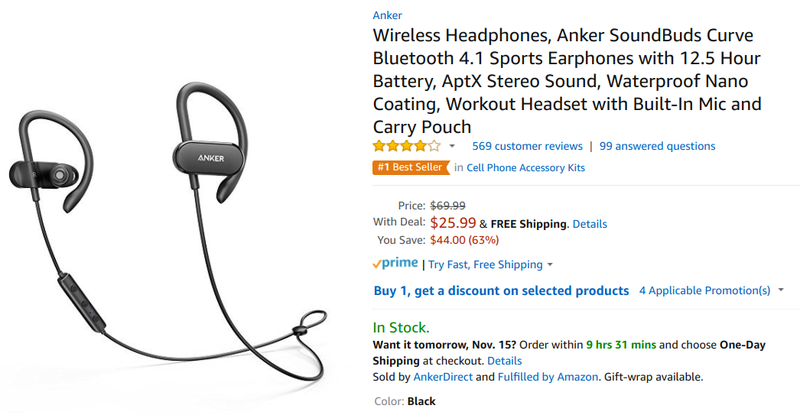 If you've been looking for a pair of wireless in-ear Bluetooth headphones to use at the gym, while jogging, or during your commute, here's another great deal for your consideration. 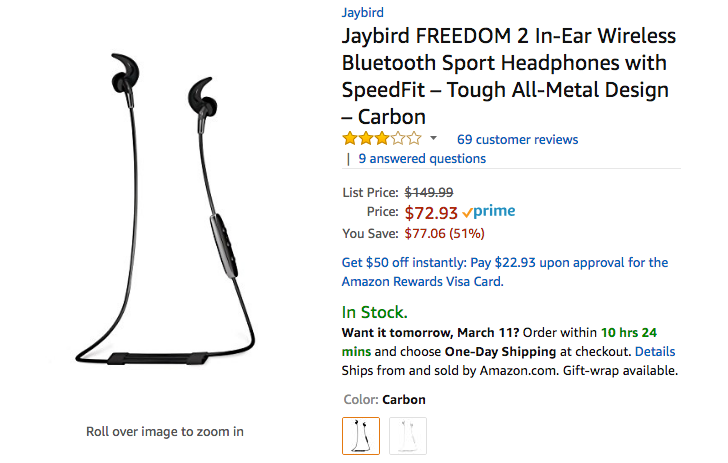 Jaybird is a recognized brand in this space, and while the company's Freedom 2 earbuds aren't the most groundbreaking pair out there today, they warrant attention at an all-time low of $72.93 on Amazon. Look, I checked the Amazon rating on these Jaybird Freedom 2 earphones and I know they don't seem to be the best in their category. But many of the reviews and opinions are based on their original $150 MSRP and the expectations that come from that. By comparison, the $82.95 price right now puts them in a different category and they might be worth a look, all things considered. 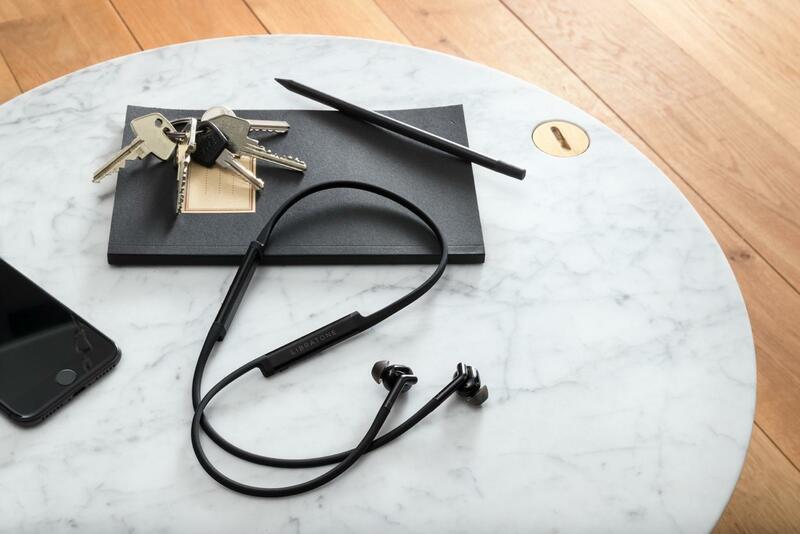 The Freedom 2 follow Jaybird's signature form factor: two earbuds linked by one wire that sits around your neck. They can be worn regularly or looped around your ear to come in from the upper side. With Christmas right around the corner, it's no secret that a lot of people will be hitting the gym in an attempt to make 2018 the year that they get back in shape (and more power to them). When working out, take it from me when I say that having a good pair of earphones or headphones will go a long way toward helping you reach your goal. 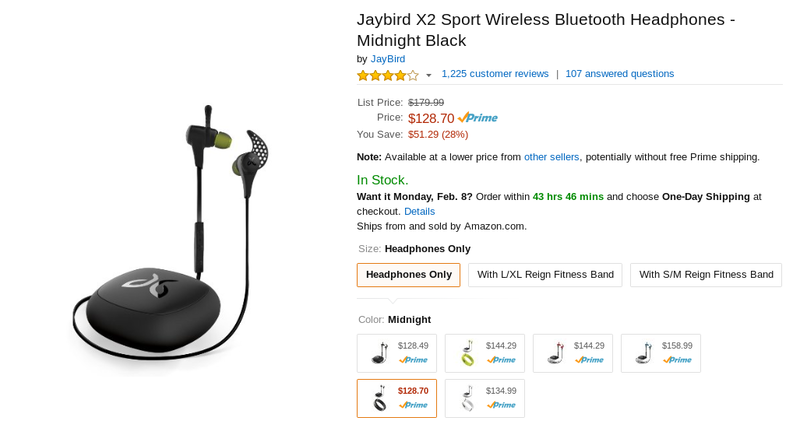 Luckily, both Amazon and Best Buy are running a sale on Jaybird's X3 wireless earbuds. At $79.99, this is a good deal. Oh alright, you want more information, right? Plus I gotta type a few words to justify this being a full article. Sure, sure. 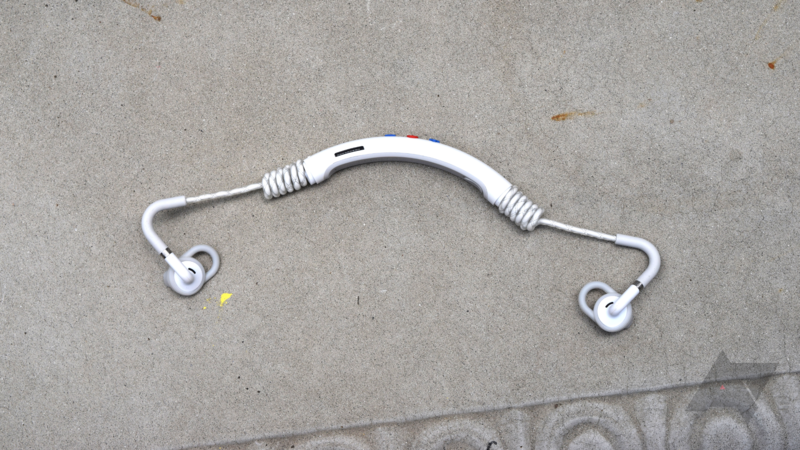 I've been looking for Bluetooth earbuds for the past month. I have the Plantronics BackBeat Go 2: I use it daily and love it. This is my second set: the first lasted me two years before the left earbud died and this one has been going for 2.5 years without a hitch. I like the form factor since I can remove the earbuds and leave them hanging around my neck, I also want something non-sealing because I often wear them in public. 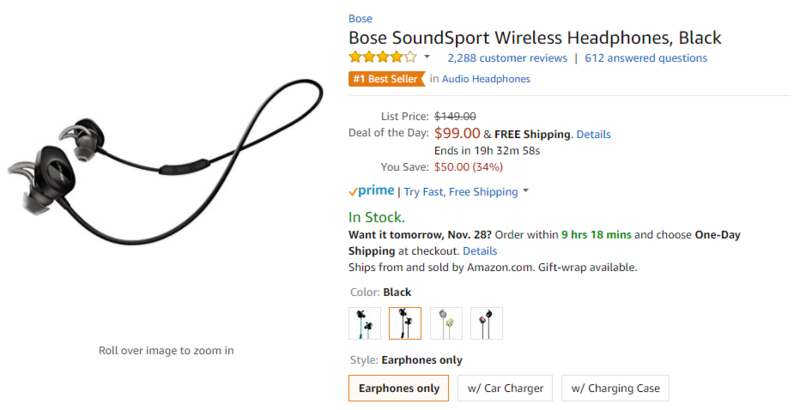 When it comes to Bluetooth earphones, you can either go high-end and pay a hundred or several hundreds of dollars for a set, or look for cheap almost no-name brands on Amazon and see if there's something that can do the job without emptying your wallet. 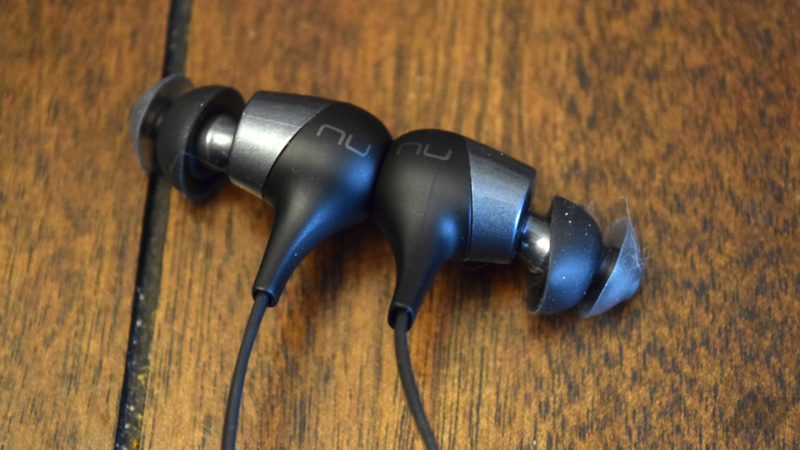 The Anker Soundbuds Curve fall in the latter category, but they do at least have the privilege of carrying the Anker brand name with them, and that usually means good quality at a very decent price. Based on the Curve's 4.2 average rating from more than 560 reviews, I'd say that holds true in this case. The Jaybird X2 Bluetooth earphones are a great piece of kit. I don't know this firsthand. Artem loves them, I know that. And when they drop below $130 dollars, well, Jeff considers that dang near impulse buy territory. 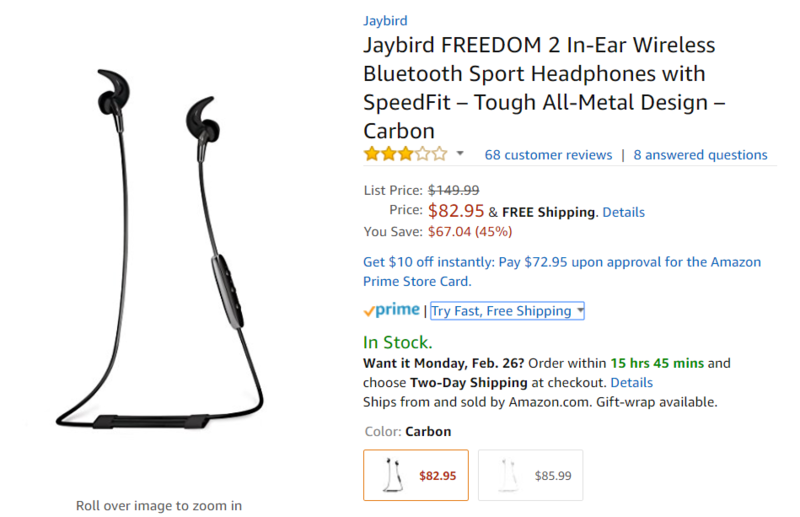 The two of us have different gauges for how cheap a pair of earphones needs to be to qualify as an impulse buy, but in case you agree with Jeff, the Jaybird X2 has again dipped in price on Amazon.